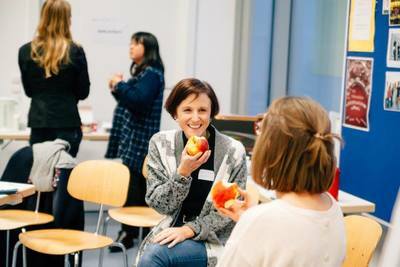 A total of 37 participants interested in food waste come from Austria, Hungary, the Czech Republic, Poland, Slovenia, Finland, Japan attended this transnational blogger meeting. How can blogs influence behaviour to #reducefoodwaste? To answer this hard, but important question to #reducefoodwaste, the participants split up into 2 workshop groups. 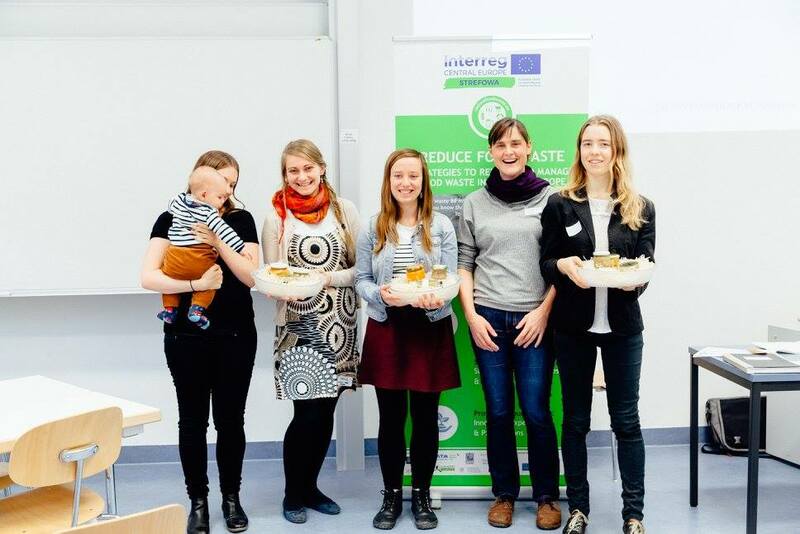 One consisting of bloggers and one of people interested in food waste. 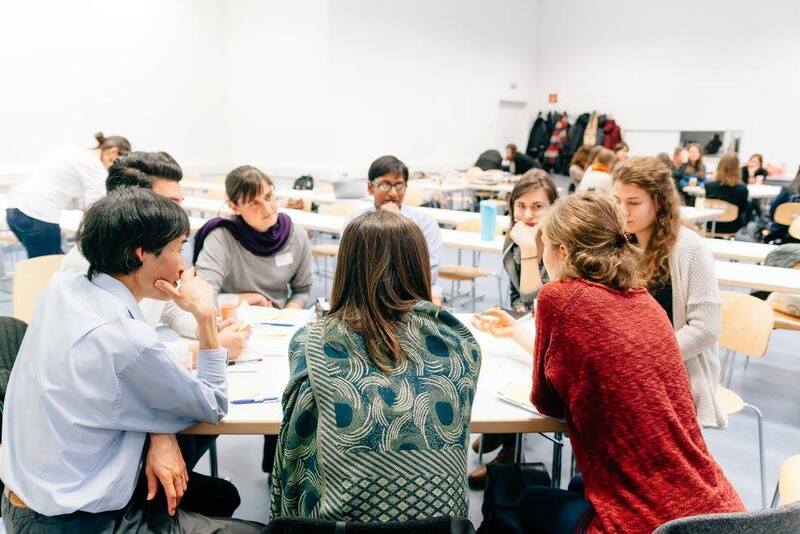 In tailor-made activities all participants actively engaged in the workshop. as a starting point by the blogger to discuss possible solutions. 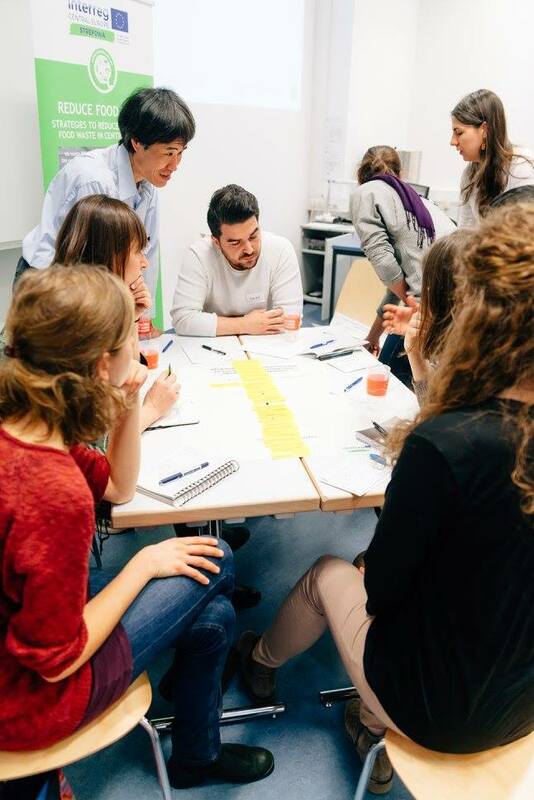 If you are interested in the results of the very productive workshops please download the workshop summary here by clicking on the download link. BOKU deals with the whole supply chain starting with food production at farmer`s level and ending at the consumer level including also collection and treatment of food waste. 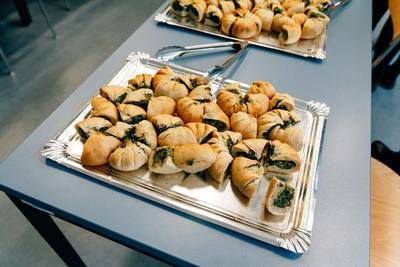 ​Unverschwendet stands for culinary enjoyment as a solution to unnecessary food waste since 2016. Traditional methods such as preserving products within fruit spreads, jellies, syrups and chutneys are used to save fresh surplus food with a high quality that otherwise would be wasted. Surplus in this case means that private persons or farmers have more fruits or vegetables than they can process or sell themselves. We value all foods and so even the smallest amounts are saved from spoiling and processed to creative taste experiences in a limited edition. Cornelia Diesenreiter will talk about how they put their idea into action, their challenges as well as achievements in den last year. How does WWF plan on working together with bloggers in the future? Helene Glatter-Götz is programme manager for sustainable nutrition at WWF Austria. In her work she links companies (as a key account manager for business partners) with the focus to develop strategies on the field of sustainable nutrition. 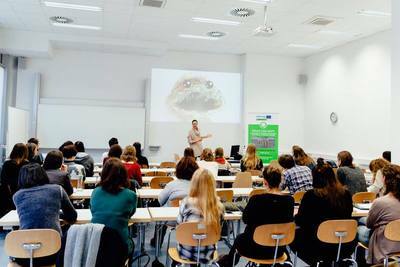 She will not only talk about her experience in Austria, but also the international WWF experience. ​How to make food waste as trendy as Zero Waste? 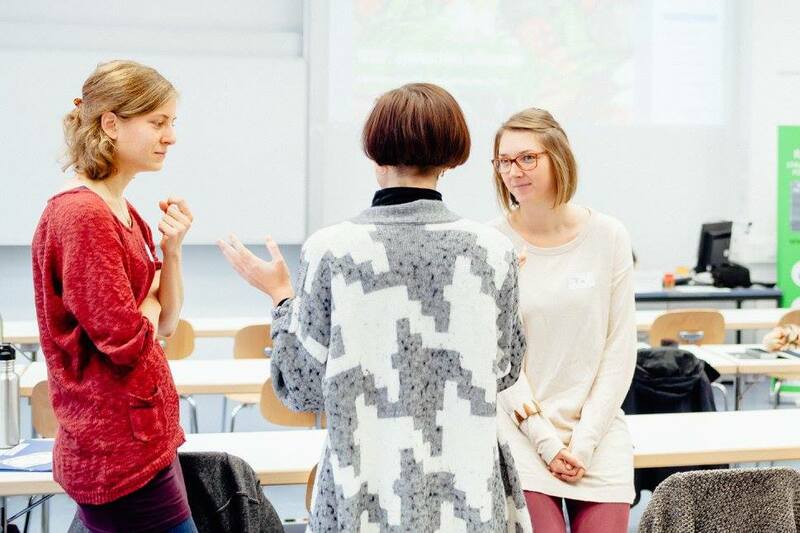 Helene Patterman is the founder of Zero Waste Austria. 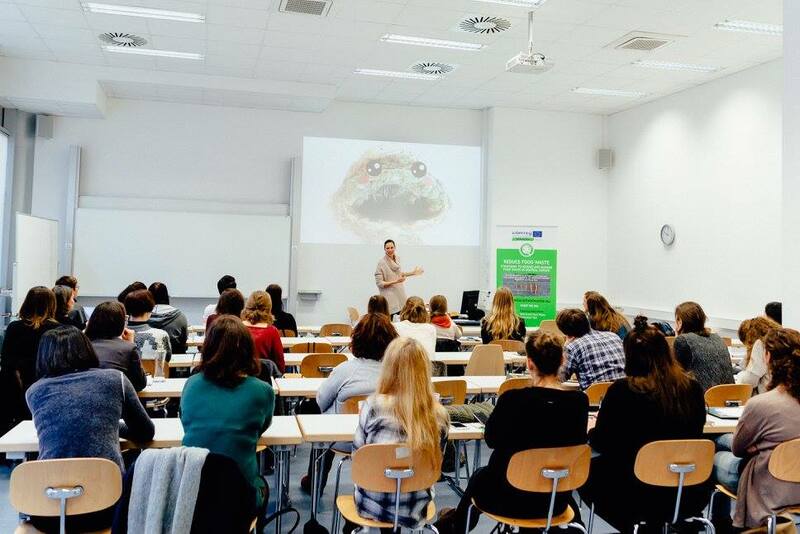 Zero Waste Austria is active since 2015 bringing the international movement of Zero Waste to Austria, promoting the waste reduction lifestyle and businesses that offer solutions to reduce waste. Food Waste has been a big focus in the last year of the work of Zero Waste Austria. ​As a communcation manager of STREFOWA Helene Pattermann spends a lot of time thinking how to engage people and make them care about food waste. In spring 2016, the work on markta.at - a digital platform for regional food producers and marketplace for the purchase of high-quality products from the region began. With markta, a new era for regional food is starting. Emerging from the desire to put quality and regionality in the foreground and break up old structures, markta wants to create sustainable and new solutions for food supply. 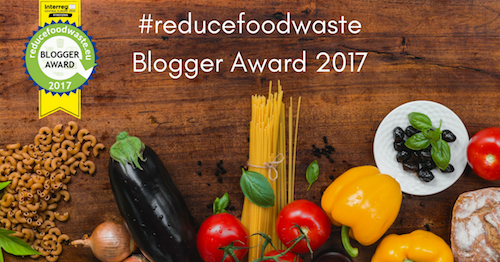 The blogger meeting was the grant final of the #reducefoodwaste blogger award 2017. The winners of the award got the possibility to present their work on stage. 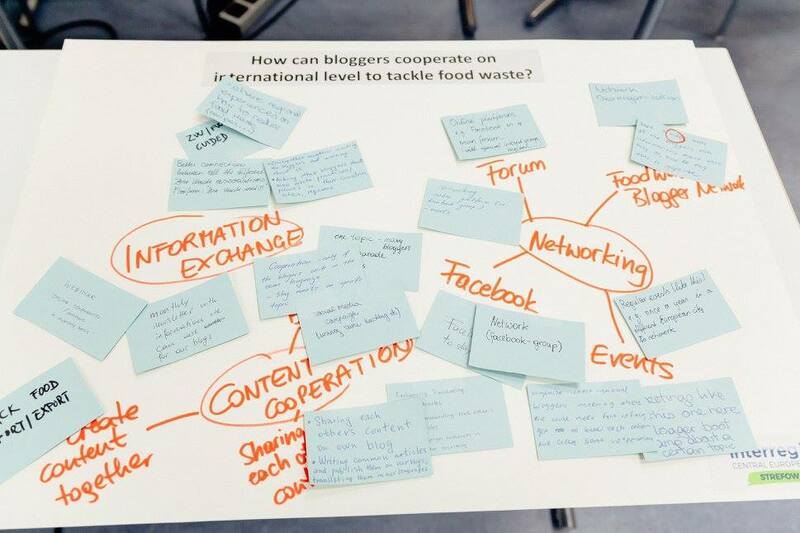 The blogger award made great articles visible, that exist in Europe to raise awareness for #foodwaste. 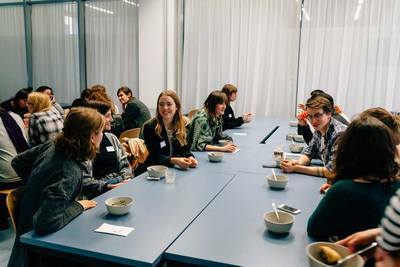 The blogger meeting was the first official opportunity for food waste bloggers to meet, connect and stay in touch long-term.